Mohamad has more than a decade’s experience in healthcare, research, consulting and investments in the US, India and the Middle East. In 2017, he was appointed chief investment officer at VPS Healthcare, a group of 20-plus hospitals and 100 medical centres across the UAE, Oman and India. During his tenure there, he founded Trovant Capital, a healthcare investment company based in Abu Dhabi General Market, where he developed the group’s global investment strategy and led its implementation. At inception, Trovant Capital acquired a significant stake at Amanat Holdings. 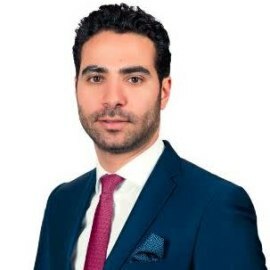 Before joining VPS, Mohamad was a principal at TVM Capital and chief strategy officer of one of its portfolio companies. His responsibilities included investments screening, due diligence, fundraising roadshows, and portfolio management on a variety of healthcare investments in the Middle East, North Africa and South East Asia. Prior to that, he was a lead associate at management consultancy firm Booz and Company.